Pressing equipment is the essential part of an on-site customization program. 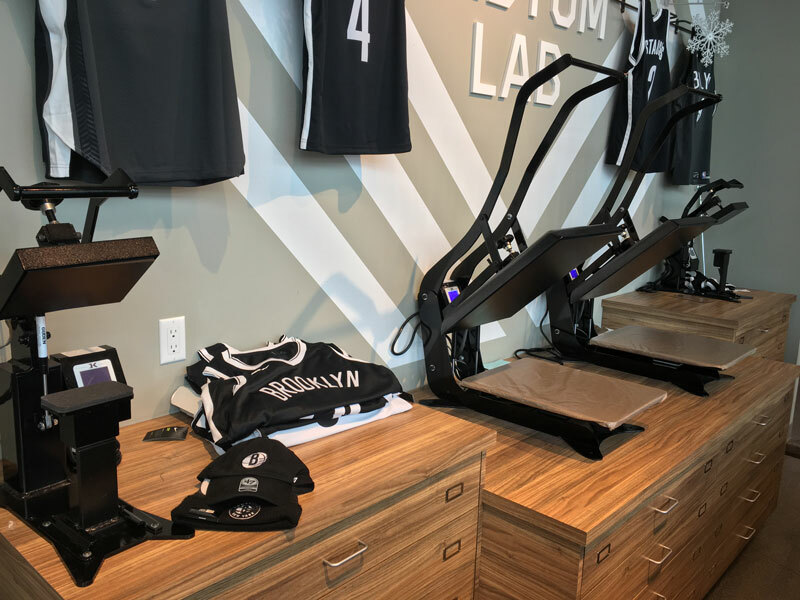 Found in over 400 locations around the world, Fanzones heat presses are tried and true, and come in a variety of configurations for optimal efficiency depending on the garment you want to press. 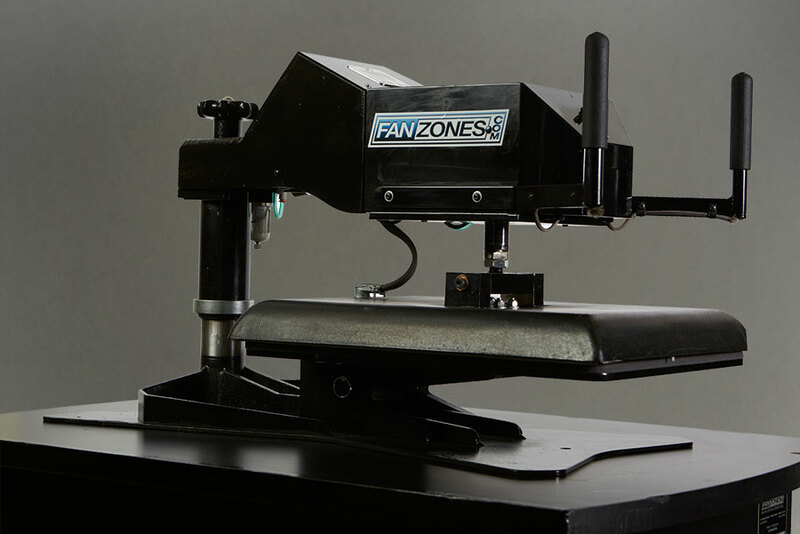 A simple & standard solution for Fanzones single heat press equipment. 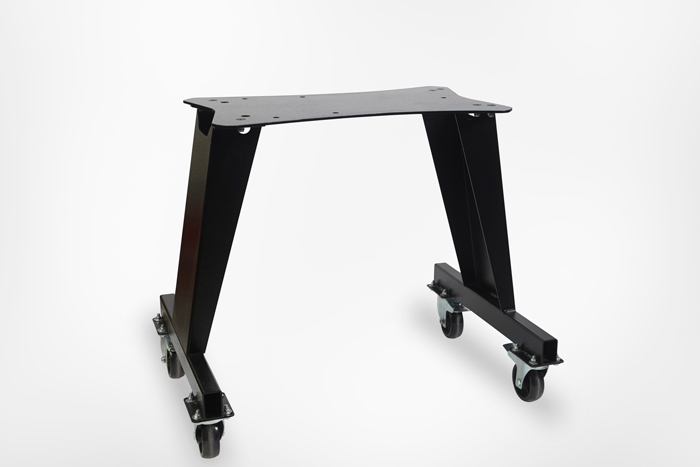 Castors allow for easy portability from place to place. A solution suitable for any Fanzones press, as well as storage for letters, numbers, patches, and pressing accessories. Castors allow for portability from place to place. 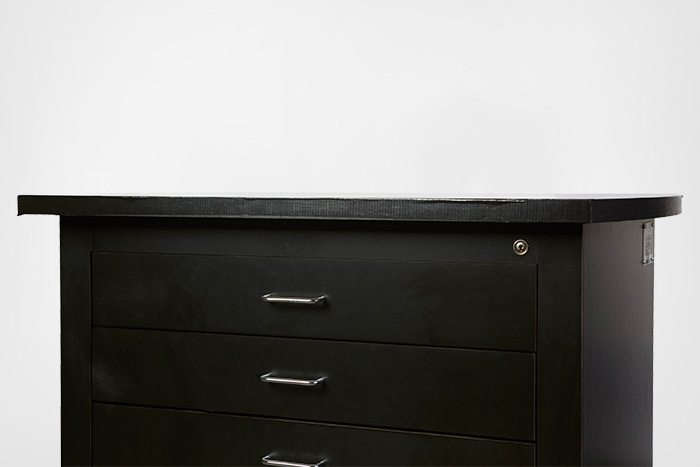 Need something to suit a specific need or space? Our team can provide expert on-site design & build services to help you create an awe-inspiring and optimized micro factory. 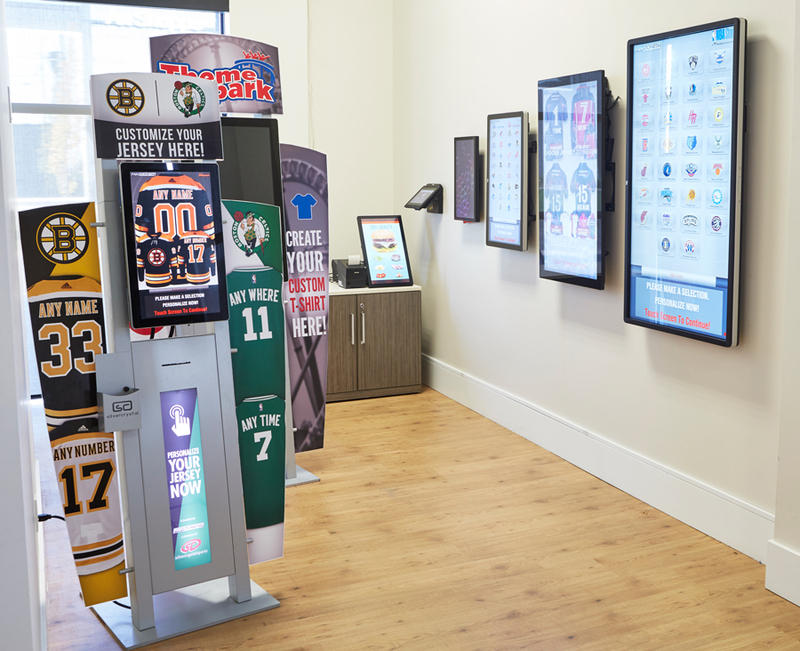 Created by us and built specifically for customization, the Fanzones Ecosystem is an omni-channel technology solution that provides customers with a fun and interactive experience, while providing our partners with turnkey functionality and powerful data. 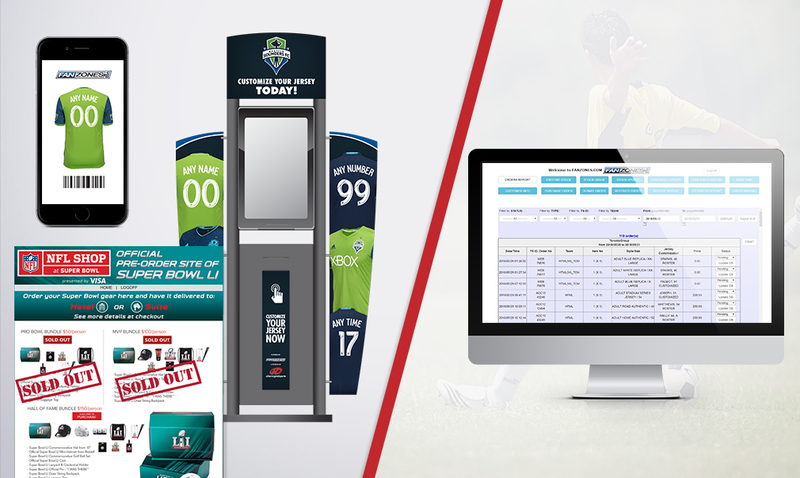 Over the past 12 years Fanzones kiosks have become the standard across stadiums and retail environments. 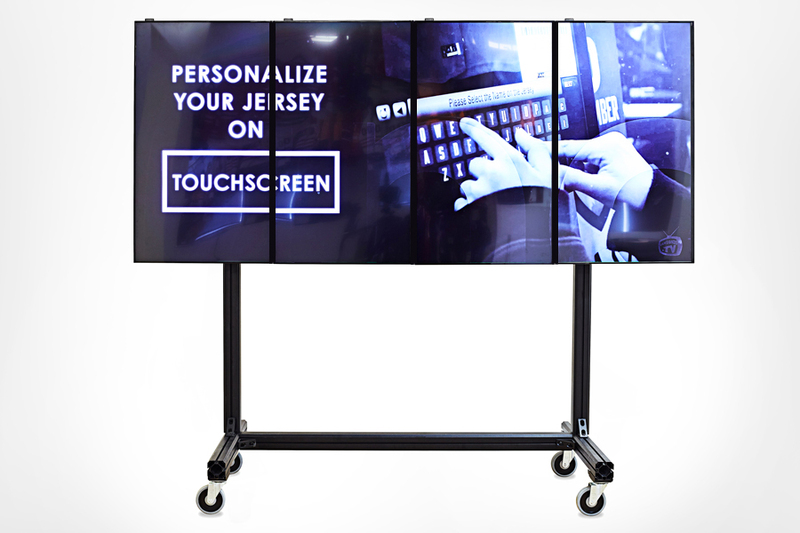 A fun, interactive experience that also streamlines the custom purchase process. 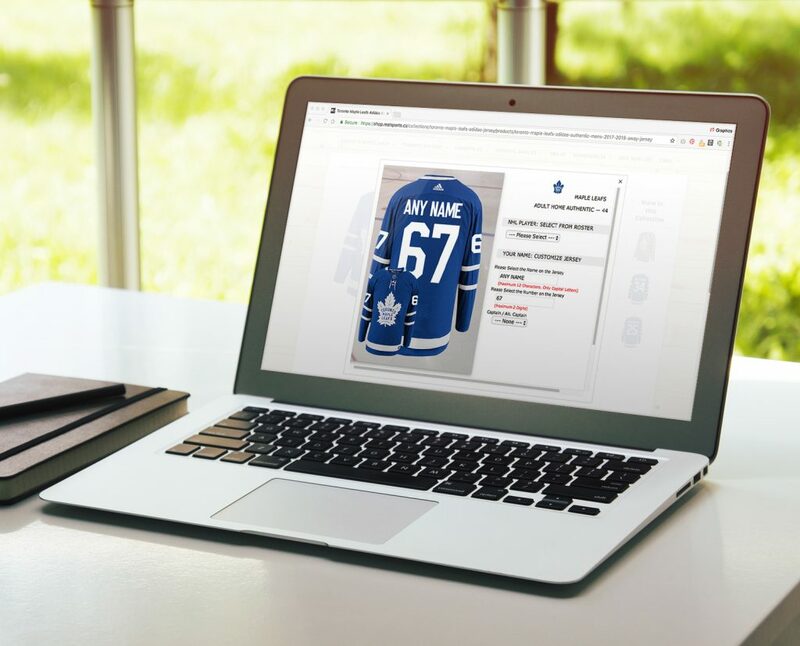 An API that sits on top of your ecommerce site enabling customization for the jersey types and styles you want to offer. 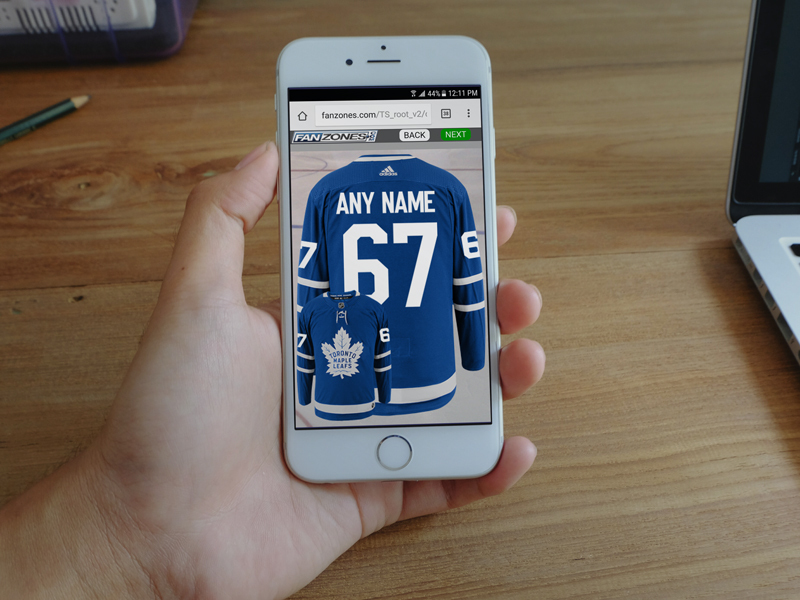 An API or custom-domain solution to put our powerful Fanzones customization interface in the hands of your customers. Popular in settings where there is opportunity to reach a high number of consumers in a short period of time, such as a stadium or event. The world’s best, and only proven, customization management suite. Our software makes life easy for our partners by automating inventory management, from tracking, to setting mins & maxes, to ordering. 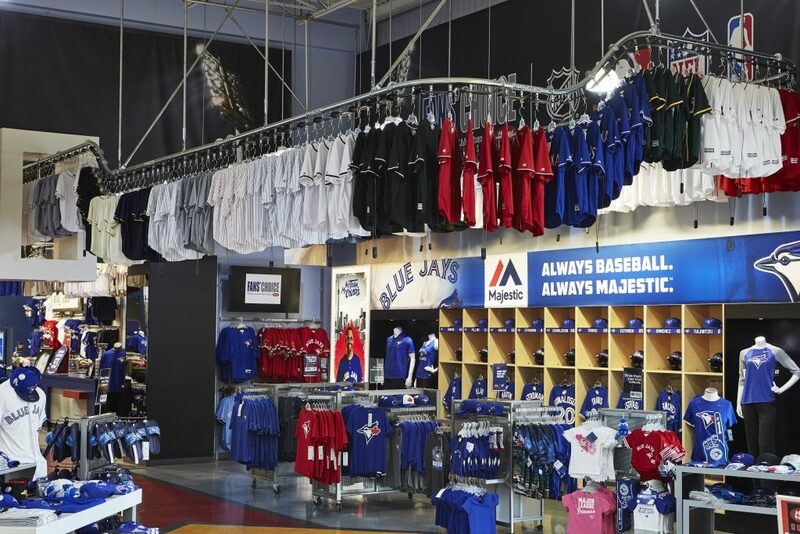 Our unique merchandising system not only creates the ultimate buzz, but also optimizes your floor space – creating more merchandising space overhead! During our on-site assessment we can help design the perfect rollercoaster for your space, whether mounted to the ceiling, wall, or floor. Popular for events and spaces where a permanent mount isn’t possible, our portable solutions create a buzz while helping partners maintain flexibility. The perfect solution for bringing awareness to your customization program, and then providing an educational walk-through on ‘how it works’. Our in-house team can create content optimized for your specific retail needs. 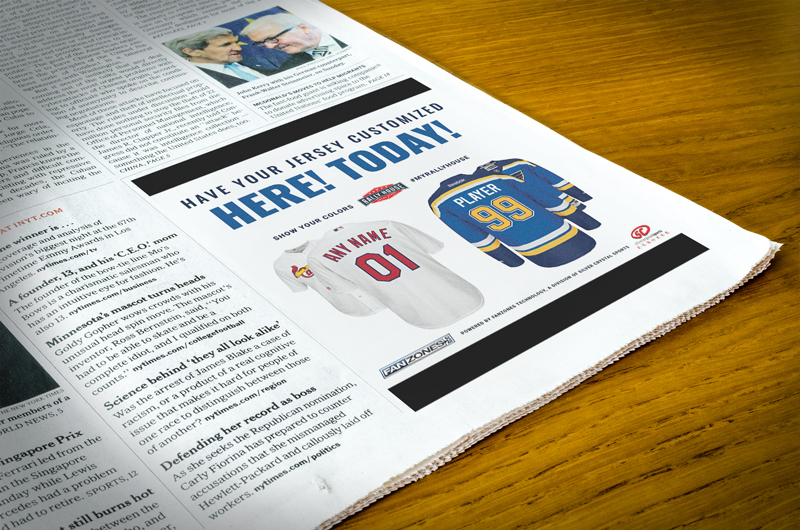 Pulling from expertise across 135 stadiums and over 400 retail locations, our team can create material to help promote your customization program. 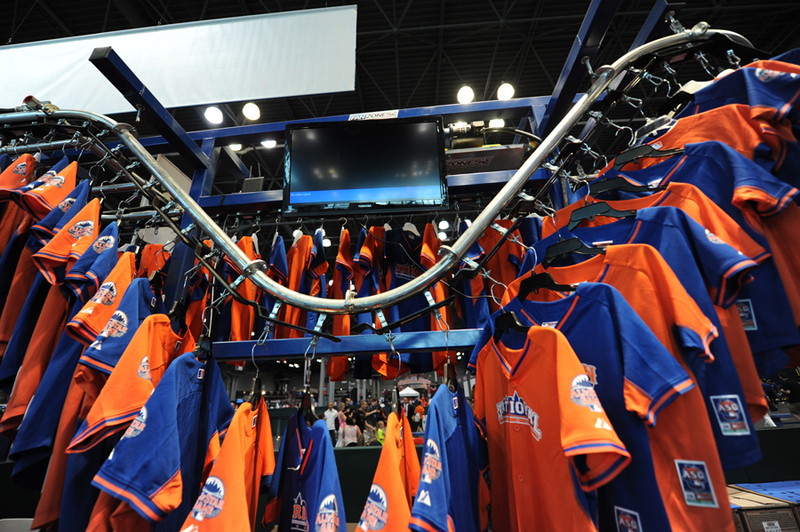 Learn more about how Fanzones can provide an innovative retail solution for your business.